Is Muay Thai Good for Weight Loss? Have you recently started a weight loss program and are looking for a way to mix up your routine and boost your weight loss? While looking for different options you may have found yourself considering, is Muay Thai good for weight loss? Any type of physical activity will be beneficial in helping your reach your fitness and weight loss goals. Muay Thai is no exception to this rule. This post will give you some great tips on finding the right activity for you. Can Muay Thai help you lose weight? It’s no secret that weight loss is a balance of calories in vs. calories out. Regular exercise is a great way to boost your output of calories and can assist you with finding a balance between the calories you consume and the calories you use. Although this equation is simple in theory many people find the balance challenging for a variety of reason. Many people either haven’t found a physical activity that they enjoy or feel under motived to keep up a routine. Thankfully there are a few strategies that can assist you in overcoming obstacles relating to your weight loss goals. There are many reasons why Muay Thai can help you lose weight. Below are some of the reasons why in addition to a nutritious diet Muay Thai can be a great help to you when working towards your weight loss goals. You have support – It’s no secret that a strong support system can go a long way into helping you be successful in achieving your weight loss goals. Sheknows provides some great insight why we need support. Whether it is family or friends having someone on your side gives you the support you need to push forward when the going gets tough. Yet not everyone has the support they crave at home. By taking Muay Thai classes you build your own support system and become surrounded by people who want you to succeed. Stay accountable by letting your instructors know your goals and they will support you and encourage you along the way. You Learn Something New – self improvement and development comes in many ways and it is so much more than just weight loss. By learning a new skill like Muay Thai you are investing in yourself and giving yourself a reason to keep going. Weight loss comes with ups and downs and there are times where you will have success and failures. If you are exclusively focused on weight loss it may become difficult to overcome the challenges that you will undoubtedly face along the way. Learning a new skill will motivate you beyond the goal of weight loss and allow you to work towards secondary goals. Learning a new skill can become addicting and you may just find yourself obsessed with the joy of learning. Weight loss could become a happy side effect of doing something new that you truly love. The Workout is Intense – Muay Thai is known as an extreme sport. Along with the physical training that you will conduct outside of the ring you also have the opportunity to spar. Sparring is not only fun and exciting, but it also burns some serious calories. 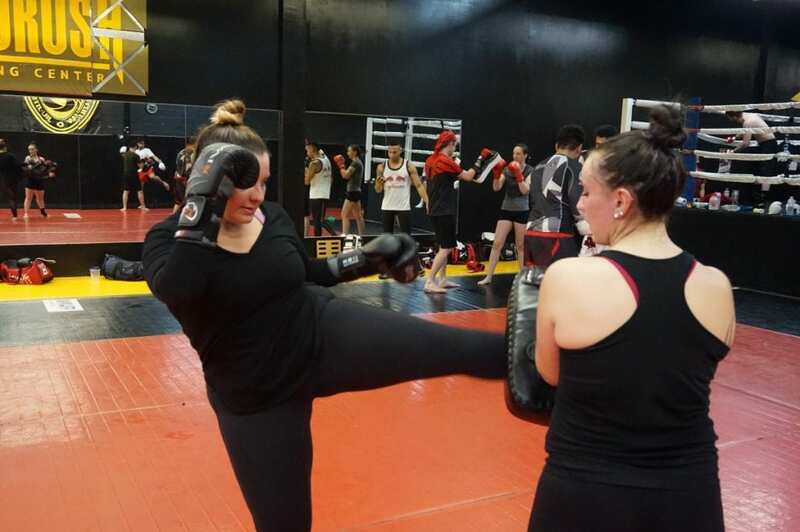 Sparring tests your skills while also testing your physical abilities. In order to prepare to spar Muay Thai athletes do extensive training by both practicing techniques while also building strength and cardiovascular endurance. Live Strong estimates that you could burn up to 690 calories in a Muay Thai style workout. Doing this a few times a week will absolutely help you achieve your goals of using more calories than you consume. It will also give you a total body workout that will help you stay strong and functional in your daily life. Group Classes Keep You Motivated – Muay Thai classes help keep you accountable. Unlike a traditional gym membership where you are primarily on your own with equipment, Muay Thai classes are social. You will meet new people and form relationships with the people you work out with. Having a reason beyond “I just should” is very motivating for keeping you active. Being social and having accountability partners makes weight loss easier and a group Muay Thai class makes it fun. You build confidence – Martial Arts are often suggested as a way for children to build confidence. Confidence building and martial arts applies to adults too! Learning a martial art like Muay Thai can help you gain confidence and feel good about yourself. The positive physical changes you can see from learning Muay Thai can make you feel stronger and confident. A change in mindset can go a long way to helping you reach your goals and keep you on track. You may find that these changes go beyond weight loss and make you more confident in your everyday life as well! Combine it with Personal Training – If you are needing extra support with your weight loss goals you may want to consider one on one training. Muay Thai gyms like Grants MMA usually offer personal training services that can help you zone in on your goals and make big changes. By pairing Muay Thai classes with personal training you can get support to focus on your goals and make losing weight less of a challenge. Taking Muay Thai classes can help you lose weight for a variety of reasons. 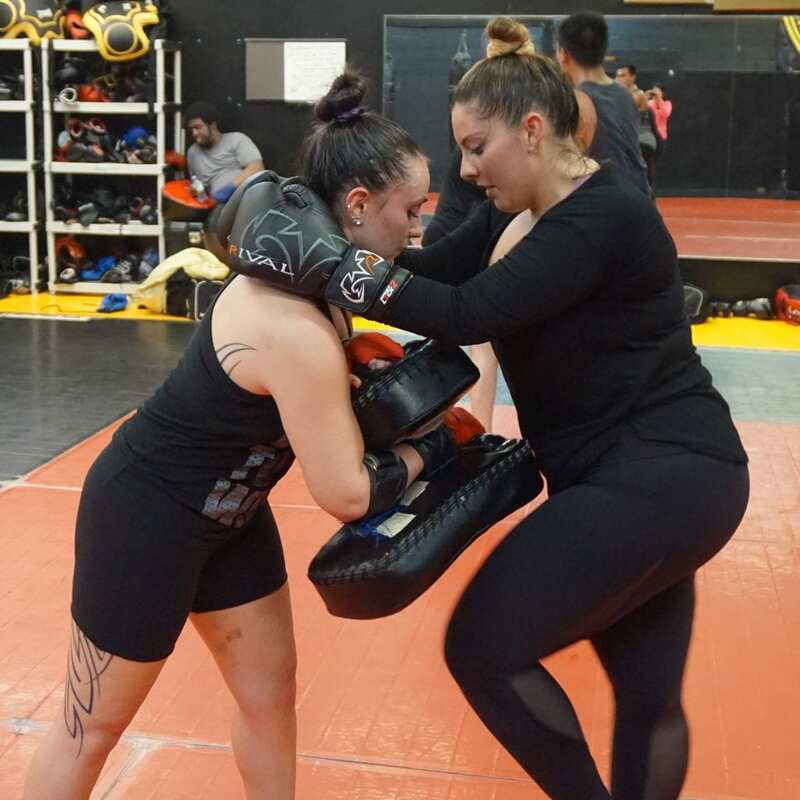 Whether you are simply looking to learn something new or if you think you need the support of a group, Muay Thai has something for everyone. With a high intensity workout and support from trainers and participants alike you are sure to lose weight and gain skills that will serve you well in the future. Like many other martial arts Muay Thai also has the bonus of helping you gain confidence. Muay Thai is a great sport to try for losing weight and you might just find that you love how good it makes you feel too! Why Do Muay Thai Fighters Wear Headbands? What Do I Wear to a Muay Thai Class? Can a personal trainer help me lose weight?